In Maryann Corbett’s new book, we are given a Street View on the world, from Minneapolis to Jerusalem, a portrait of our constructions beautifully constructed in metrical form. And yet this is not the dry poetry of portraiture and architecture. These streets are populated with a variety of town characters, from the vagrant to the dangerous academic “Weirdo” with his void-sucked soul who makes one think of mass killings. 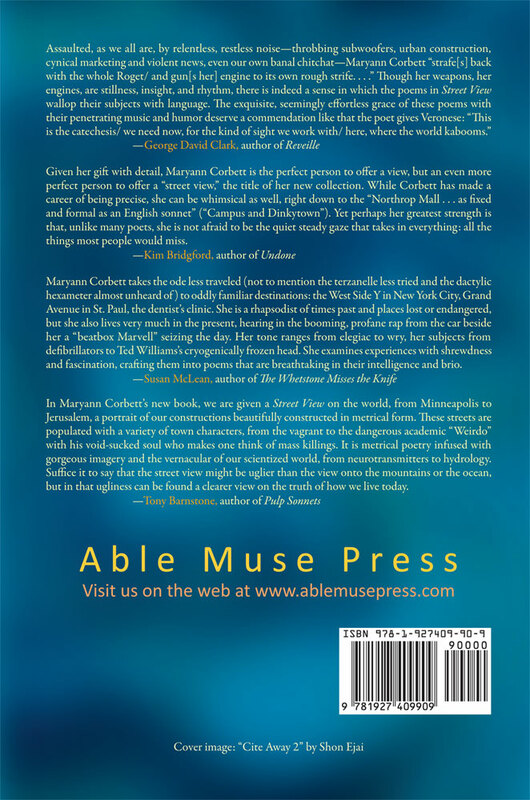 It is metrical poetry infused with gorgeous imagery and the vernacular of our scientized world, from neurotransmitters to hydrology. And it takes seriously Wallace Steven’s assertion in “Of Modern Poetry” that not only must it face the men of the time and meet the women of the time but “It has to think about war/ And it has to find what will suffice.” Suffice it to say that the street view might be uglier than the view onto the mountains or the ocean, but in that ugliness can be found a clearer view on the truth of how we live today. 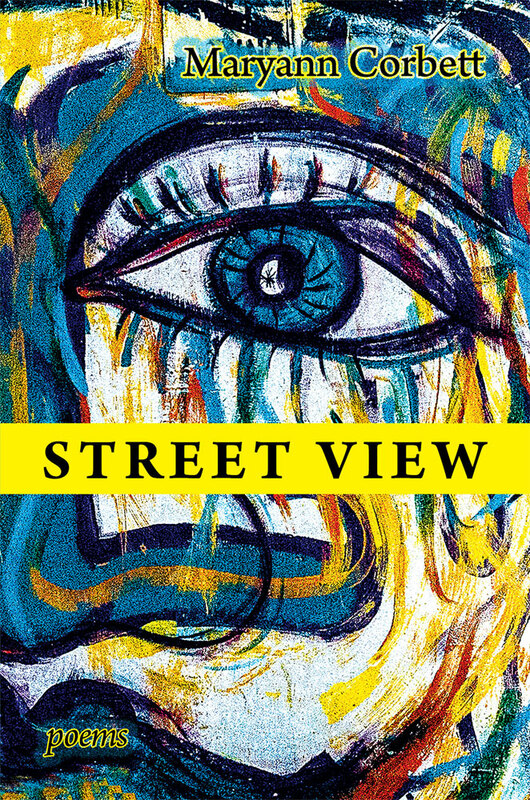 Given her gift with detail, Maryann Corbett is the perfect person to offer a view, but an even more perfect person to offer a “street view,” the title of her new collection. While Corbett has made a career of being precise, she can be whimsical as well, right down to the “Northrop Mall . . . as fixed and formal as an English sonnet” (“Campus and Dinkytown”). Yet perhaps her greatest strength is that, unlike many poets, she is not afraid to be the quiet steady gaze that takes in everything: all the things most people would miss. Maryann Corbett takes the ode less traveled (not to mention the terzanelle less tried and the dactylic hexameter almost unheard of) to oddly familiar destinations: the West Side Y in New York City, Grand Avenue in St. Paul, the dentist’s clinic. Her poem “Reburial Rite” starts with the unearthing of Richard III’s skeleton in a parking lot and ends with her acceptance of the unknowability of even her own parents’ prehistory. She is a rhapsodist of times past and places lost or endangered, but she also lives very much in the present, hearing in the booming, profane rap from the car beside her a “beatbox Marvell” seizing the day. “Stoplight, with Wingèd Chariot” may be a terza rima sonnet, but demanding poetic forms and erudite allusions never get in the way of her colloquial voice speaking in the here and now. Her tone ranges from elegiac to wry, her subjects from defibrillators to Ted Williams’s cryogenically frozen head. She examines experiences with shrewdness and fascination, crafting them into poems that are breathtaking in their intelligence and brio.